Essex Home Improvements Ltd - Quality Building Services in Essex, from an Approachable Company. At Essex Home Improvements Ltd, we believe that building services are not just about buildings. Of course, we offer a wide range of products for the benefit of our customers but we always ensure that we give a quality of service to match. Wherever you are located, however big your project, we offer everything that you need to allow your ideas take shape and become reality. Essex Home Improvements Ltd is a family run building company that is approachable, organised and honest. We offer a wide range of expertise from specialist staff and tradesmen. We are friendly, efficient and hard working to ensure that our customers are more than satisfied. Based in Essex, we serve customers throughout the East of England and beyond. Please take a look at our services by clicking on the links below. To find out how we can help you, simply get in touch through the website here, call us on 01245 630 495 or email us at info@essexhomeimprovementsltd.co.uk. Home Extensions to suit your needs. Helping you make the most of your loft and garage space. 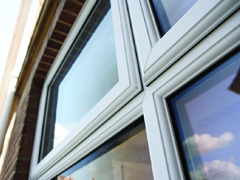 Quality windows and service to match. 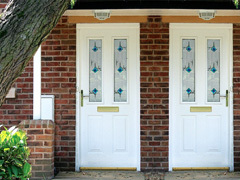 A wide range of attractive doors, supplied and fitted to the highest standards. 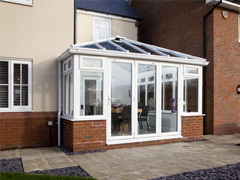 A Conservatory for your home that is design-engineered to your needs. Outstanding service at a reasonable price. Create a stunning kitchen for your home. Your perfect bathroom isn't too far away. Porches that offer a warm welcome and extra space. Complete service for the outside of your home as well as the inside. Driveways that are practical, hardwearing and attractive. Patios that help you enjoy spending time outside. Get in touch with our friendly staff to discuss your needs. Let us provide you with invaluable, practical advice and a free quotation by arranging an on-site visit.